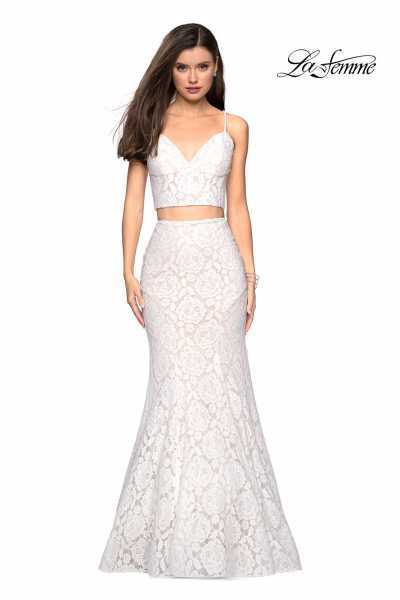 This two-piece is elegant! Walk through the doors and all eyes are on you. 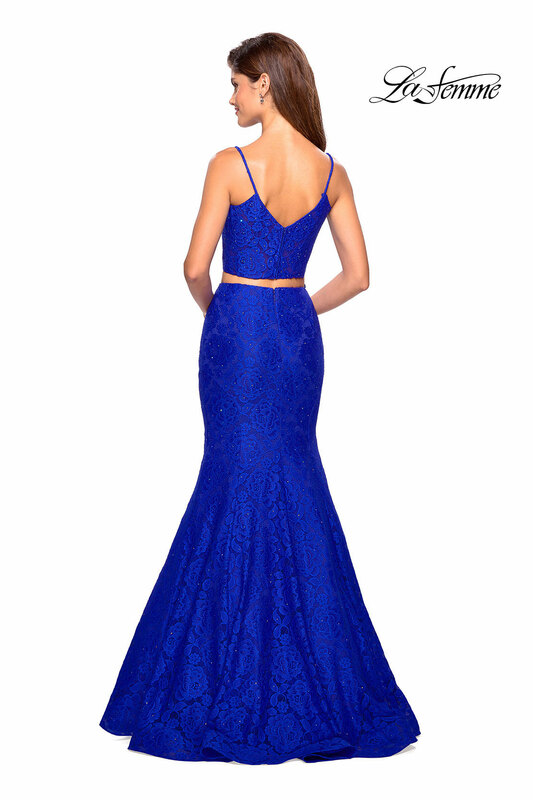 The La Femme 27589 comes in multiple colors!